What do I give a cup about? I give a cup about my morning cup of coffee. I give a cup about my silly, silly boys. I give a cup about toes in the sand. I give a cup about quiet time. I give a cup about sunsets. Peet’s Coffee wants to know “What do you give a cup about?” Give A Cup is the Internet’s very first social sampling experiment. Each week, visit doyougiveacup.com and vote on a topic. The topics are fun, current, and sometimes a bit quirky. Your votes will determine where Peet’s Coffee will host their next sampling event for their new Single Cups. Give a Cup about kale? Maybe they’ll show up at a farmer’s market. Don’t give a cup about kale? See you at the chocolate store down the street. It’s up t you to decided where they go! 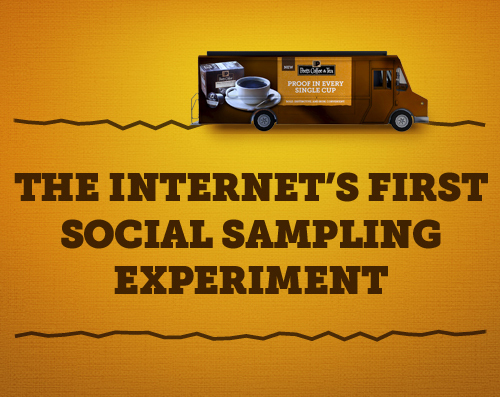 Vote, share, and participate in this fun social sampling experiment! What do you give a cup about? Gotta love the belly laughs! That rocking chair picture is gorgeous!!! Those boys are so cute! Totally worth getting up for (and enjoying a cup of coffee!). I give a cup about making each day special for my family. Cute post! And your photos, as always, are incredible! What lovely photos! And a very neat idea from Peet’s. I love this idea of talking about what you give a cup about. Such a cute spin. Awesome photos!! What a fun post! I give a cup about the happiness of my family. Love your photos, of course! And loooooove coffee!!! I give a cup about… quiet time. Like right now, while drinking my coffee haha! Love Peets Coffee, great stuff. Beautiful pictures! I give a cup about the memories that we make now that will stay with my kids through their whole life!